The never ending question in American life concerns the role religion should play in public life. That is, in a modern, secular, democratic state that values political pluralism, can faith have a constructive role in public life? This question involves the way in which people of faith root their public life in their faith. Theologian Miroslav Volf takes up these kinds of questions in his latest book, in which he advises Christians on the perils, pitfalls, and possibilities of engaging public life from a faith perspective. To do so, however, requires that persons of faith enter the public sphere understanding the dynamics present – it is a politically pluralistic sphere – and so one must not seek to co-opt the conversation or act coercively. Neither an “idling faith,” one that is private and inwardly focused, nor one that is aggressively and coercively active is an appropriate response to God’s call to be present in the world. A well known theologian teaching at Yale, and formerly on the faculty of Fuller Seminary, Volf is fresh off the publication of his important engagement with Islam (Allah, Harper One, 2011). As a Croatian Christian who grew up in the former Yugoslavia, Volf has had a front row engagement with both religious pluralism and coercive secularism. In Allah, he tries to create a theological space for engaging Islam in conversation, with a view to seeking the common good, on the basis of a common affirmation of the oneness of God. Here he takes the conversation into the broader context of religious engagement with the public sphere, arguing that there is a place for faith in public life. Indeed, if faith remains private, both faith and public spheres will be impoverished. On one pole, therefore, is Qutb’s religious totalitarianism, which is based in his belief that since there is no God but God, then there can be no sovereign outside God, and therefore no law but the law of God is appropriate, and therefore it is essential that this worldview or rule of God be imposed on the entire world. This isn’t the Muslim position, but it is one that has gained traction and spurs on Islamic radicalism. At the other end of the spectrum we find efforts to purge the political sphere of any expression of religion. This was the vision that many Marxist regimes attempted (unsuccessfully). Writing to Christians as a Christian, Volf seeks to offer a non-totalitarian option, one that invites faith into the conversation while recognizing the importance of political pluralism. The goal of this engagement is to create an environment that supports human flourishing. By that, he doesn’t mean satisfaction or a feeling of happiness and pleasure. Volf writes that “concern with human flourishing is at the heart of the great faiths, including Christianity” (p. 63). This is true even if we don’t show this through our practices. Human flourishing is defined as finding your fit in the created order, and from a Christian perspective this involves the premise that God is love and so to flourish we are called to love God and love our neighbor. By doing this we can, hopefully, overcome the malfunctions of faith (idleness or coercion). Volf defines the way in which faith works in terms of ascent and descent. We ascend to God by loving God, and having ascended into the presence of God, we descend to creation where we love our neighbor and ourselves properly. Ascent malfunctions occur when we don’t love God as we should – loving interests and projects over God or replace God with an idol. Descent malfunctions occur when faith simply “energizes or heals us but does not shape our lives so that we live them to our own and our neighbors benefit, or when we impose our faith on our neighbors irrespective of their wishes” (p. 73). Commitment to the pursuit of human flourishing, as defined by these two commandments, is the key to hope for humanity. Having noted the possible malfunctions of faith and offering a way of countering them in Part I, Volf turns in Part II to describing what an engaged faith would look like. Understanding this engagement requires that we look at questions of identity and difference. That is, he’s not of the mind that religions are pretty much the same underneath. It is important to note that one reason why we need to be concerned about identity is that going forward it is more likely that engagement with the public sphere will be from the margins and not from the center. Concern for the common good is rooted in the Christian self-understanding as a prophetic faith, but influence will no longer come from the center, for Christianity is but one player among many. This is, of course, a return to the origins of the faith. But there is no need for gloom as we forward. The key is becoming comfortable with the idea that we are but one of the players. When it comes to identity, Volf suggests that there are four features of contemporary society that we must be aware of. First, we must recognize that today, especially in the United States, faith involvement is voluntary. Thus, Weber’s contrast between church and sect doesn’t work – we’re all sects. Second, we must recognize the way in which we are different from the cultures and subcultures that are present in society. 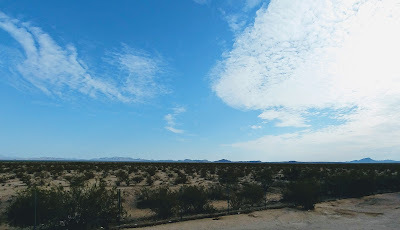 The boundaries may be permeable, but they need to be recognized and attended to. The third feature is political pluralism, and finally there is present what he calls “relative self-sufficiency.” That is, we can only work from within society in a piecemeal fashion, learning “how to work vigorously for the limited change that is possible, to mourn over persistent and seemingly ineradicable evils, and to celebrate the good wherever it happens and whoever its agents are” (p. 83). In laying out his vision, he contrasts it with what he calls the liberal program of accommodation to culture, the postliberal program of reversing the liberal orientation of accommodation by reinterpreting the world through the biblical story, the Separatist program of retreat from the world. Instead, he suggests the way of “internal difference,” wherein Christian relation to culture involves “a complex and flexible network of small and large refusals, divergences, subversions, and more or less radical and encompassing alternative proposals and enactments, surrounded by the acceptance of many cultural givens” (p. 93). In other words, the goal is moving toward the common good as envisioned by one’s faith tradition, without seeking “total transformation” or accommodation. But, instead seek to engage the world with one’s whole being and within all dimensions of culture from a prophetic standpoint, seeking to “mend the world, to foster human flourishing, and to serve the common good” (p. 96). This program involves sharing the wisdom of one’s faith, that is “an integrated way of life that enables the flourishing of persons, communities, and all creation,” without doing so in a coercive manner. This occurs when we respect the integrity of the other as receiver and see ourselves as a receiver as well. The core of this wisdom, in Volf’s mind, is love and forgiveness. So what does public engagement look like? It is one that recognizes the religious diversity present in the world, and understands the way religion functions in the context of liberal democracy, wherein each person is free to live in accordance with their own interpretation of life and one must recognize that the state is to remain neutral with regard to these perspectives. With these understandings, we must also recognize that when faith leaves the public square, the square doesn’t remain empty, but is filled by secularism, one that in the West is defined by the “marketplace.” Our engagement with the public realm is important, and it can happen based on four principles outlined by Yale philosopher Nicholas Wolterstorff: Because there is one God we relate to that God on equal terms; the central command of this one God is to love one’s neighbor (Golden Rule); “we cannot claim any rights for ourselves and our group that we are not willing to give to others”; and finally religion can’t be coerced. Added to this is recognition that there is no common core of religion, no lowest common denominator, thus, Volf is unimpressed with pluralism as a religious project, though he affirms it as a political one. Thus, the key to this project is learning to speak in the public realm with one’s own voice in ways that respect other voices and allows for working together in pursuit of the common good. This involves, what Volf calls “hermeneutical hospitality. The point isn’t the removal of disagreements, but rather learning to negotiate our differences with mutual respect, and in doing so finding places of convergence and agreement. The common good needs the active presence of people of faith, acting from their faith traditions, in a politically pluralistic context. It requires that we forgo any idea of religious totalitarianism or even the idea that we can reach total transformation of the world. This premise, that one can oppose religious totalitarianism and support political pluralism, is fully defensible from a Christian perspective, and the same is true of other faith traditions, including Islam. As one who believes in the importance of engaging the public realm with a perspective rooted in my faith tradition, I find that Volf’s book is extremely helpful. It is a program that offers a way of engaging the public sphere in a noncoercive way while recognizing the differences that faith traditions bring to the conversation. It is a call to working together in a project of moving toward human flourishing and the common good that moves us beyond simply the pursuit of happiness in terms of pleasure. It rejects totalitarianism or retreat from public life. That is, Volf doesn’t seem to agree with the idea that the church can function as a separate entity from the public square and hope its witness gets caught by those within the public sphere. That is, he’s not an Anabaptist or a Hauerwasian. If one reads Volf together with Parker Palmer’s recent book Healing the Heart of Democracy (Jossey Bass, 2011), one will have, I believe, the foundations for engaging the public square in a way that will bring healing and hope and the common good to our world. 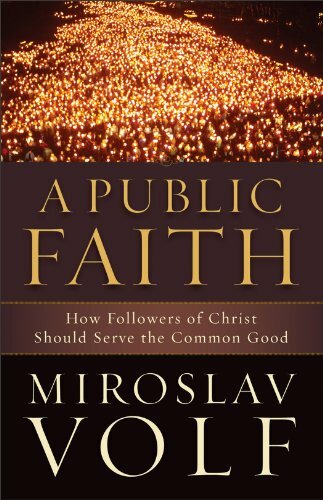 This is a must read for every Christian who seeks to enter the public square as a person of faith.